Waters & Brown is a unique, family-owned independent retailer of the finest paints, wall-coverings, window treatments, custom furniture, and decorating products. 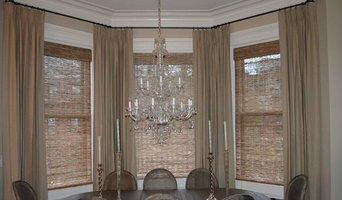 A custom window treatment designer and workroom serving interior designers and homeowners in the North Shore of Boston, MA. Julie provides in-home consultations to determine your needs and personal style, then will design and fabricate your entire window treatment project using only quality products and great attention to detail. Back Bay Shutter Co., Inc. The very best interior shutters and shades, extraordinary customer service, and trade accommodations. No wonder we're a designer's best friend. We love designers. And what's more, we understand them. They're juggling seventeen trillion things 24/7. And they want everything they touch to be perfection. They're just like us. And so, we want designers to know that while things can go wrong on a job, if they work with Back Bay Shutter Company, there will always be one thing that will go right. In fact, it will go more than right. It will go perfectly. 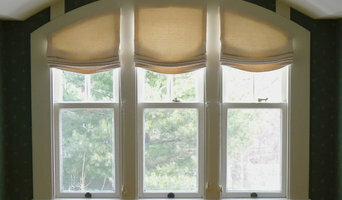 Arey Design specializes in the design, fabrication and installation of custom window treatments and soft home furnishings. Located in Woburn, MA, owner, designer and fabricator (Jessica Arey) hand-makes all of the fabric products in her workroom. 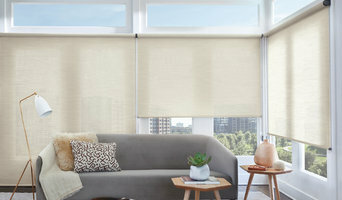 With over 12 years of interior design experience Jessica will begin your project with an efficient in-home consultation, advise on fabric selection, site measure, fabricate and personally oversee the installation of your window treatment. 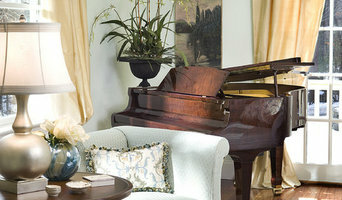 KIM SIROIS DESIGNS is a full-service custom drapery and soft home furnishings workroom.